The DimLux Expert Series 1000W DE EL UHF is a complete fixture including the Alpha Optics reflector. This reflector is designed according to the Single Bounce Clear Sight (SBCS) principle and is equipped with Miro Silver mirrors. As a result the highest possible efficiency (98%) of all available horticulture reflectors is achieved. The DimLux Expert Series is the most advanced and complete lighting system on the market. 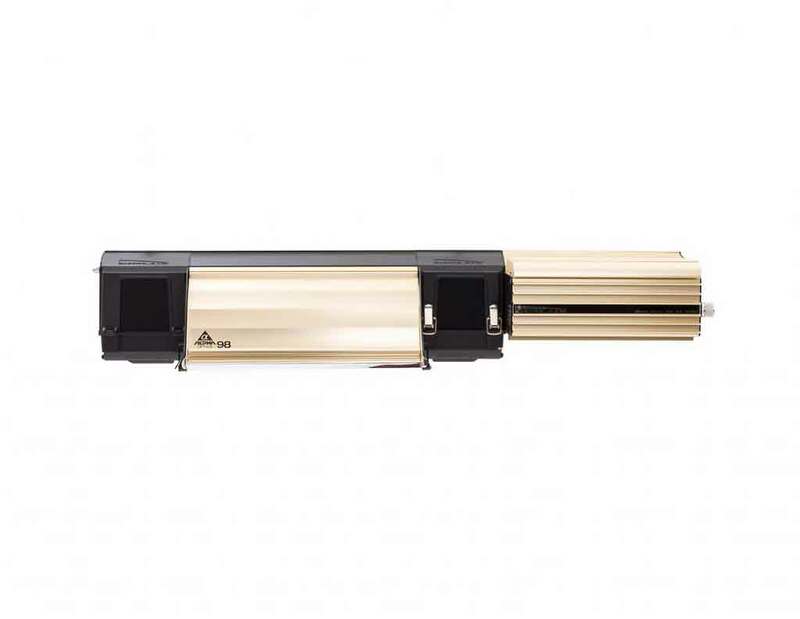 DimLux combines the best of two worlds: The Alpha Optics 98 Reflector in combination with the Xtreme ballast and 400V Full Spectrum Lamp, is a complete fixture with the highest level of reflector efficiency and light output yet available. With DimLux lighting, plants gets a cleaner, more powerful light which operates at cooler temperatures. Coupled with the Maxi Controller and other available sensors, DimLux provides unparalleled control and efficiency. The result is optimal control and maximum performance! In the look and feel of these all-in-one lighting systems from DimLux you can tell that something special awaits your plants. Designed and manufactured to impeccably high standards, the sleek and stylish gold casing and blindingly shiny reflector are clearly visible indicators of the sensational quality on offer and the truly outstanding performance capabilities. 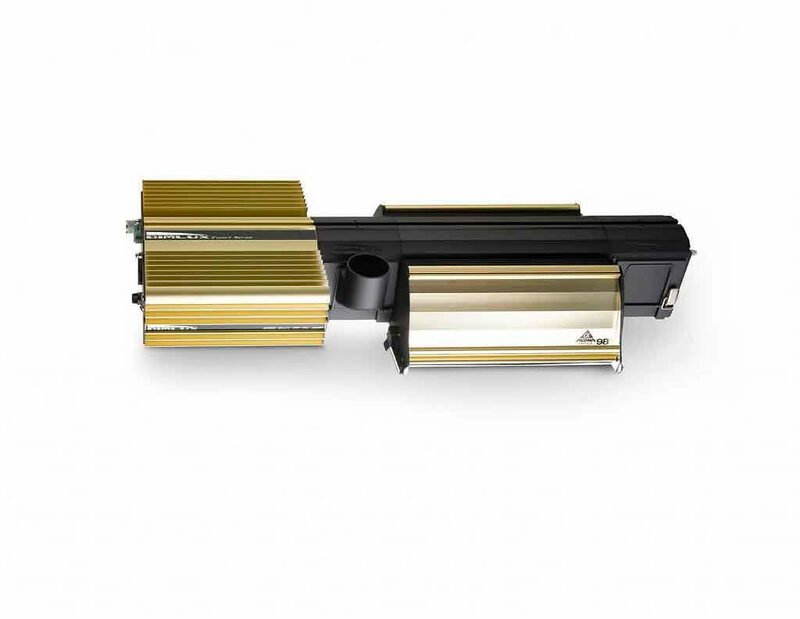 Each DimLux Expert Lighting System consists of a cutting-edge DimLux Xtreme Ballast, a dazzling, remarkably flexible Alpha Optics 98 Reflector and a powerful and efficient Greenpower lamp – all brought together and housed in a single heavy duty unit. The DimLux Xtreme Ballast gives you 7 separate dim options – considerably more than any other competing product – so you can precisely alter light output to match the changing demands of ever-developing plants. Two boost settings are available for generating up to 15% extra lumens than is advertised on the lamp, and the Soft Start and Soft Off features ensure you don’t get sudden surges of power when switching between “on” and “off” modes, protecting the product and upholding your safety. Utilising superior electronic technology, the Xtreme Ballast operates very quietly and very efficiently, promising to save you money over time on you energy bills. It is reassuringly fireproof, employing a built-in processor to monitor the ballast-to-lamp connection and an LED display to inform you of the operating status, cutting the power in the event of a bad contact or short circuit. If you chose to link up your light system(s) to a Maxi Controller (recommended – and an astonishing 160 units can be accommodated! ), this sensational device will manage them all at once taking into account indicated day/night periods and minimum and maximum heat tolerances, applying even closer control with continuously-variable dimming rather than standard incremental dimming. The Alpha Optics 98 Reflector has been made from mesmerizing 98% reflective Miro Silver aluminum. Crafted in a unique and effective manner, it only lets light waves hit the mirror-like surface of the interior on one occasion before projecting them downwards to cover over your plants. The light is also steered clear of any unnecessary and unwanted interactions with the lamp, minimizing overall wastage. These two aspects conform to the Single Bounce Clear Sight principle (SBCS). Both sides of the reflector can be adjusted to manipulate the distribution of light and there are optional add-on reflectors for stopping light from hitting walls instead of floor space. The open nature of the Alpha Optics 98 Reflector helps with the passive cooling of the lamp, improving its efficiency and overall life span. A 50mm port on the top of the unit actually allows you to extract the hot air away from around the lamp – a smart inclusion and standout feature. 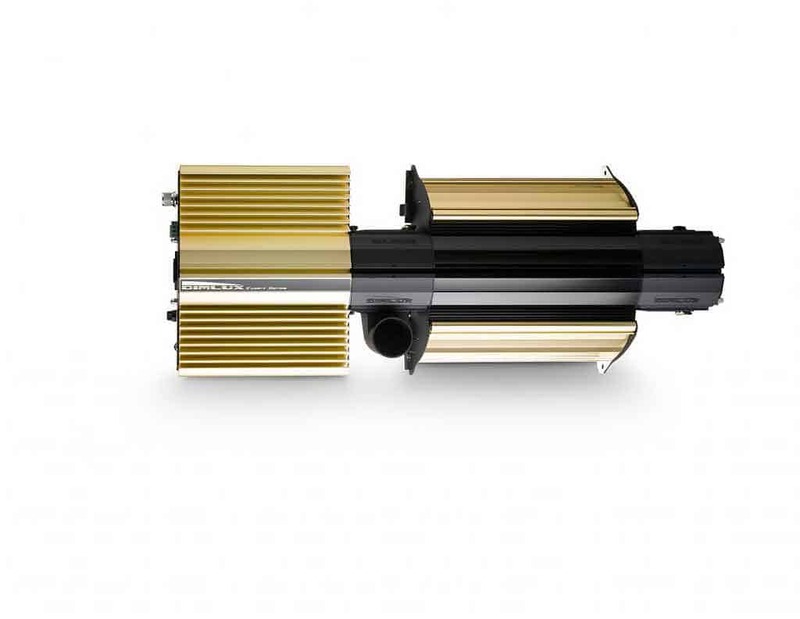 DimLux Expert Lighting Systems include an industry-leading Philips GreenPower lamp. Thanks to the internal voltage converter of the ballast, both the 600 Watt and 1000 Watt models are suitable for 400v lamps using a standard 230v connection. These help to ensure that you enjoy a high and stable light output.